Growing up doesn’t mean you have to stop caring about dressing up for Halloween. In fact, you now have the freedom to embrace all the spooky fun without worrying about your mom’s less than stellar sewing skills. 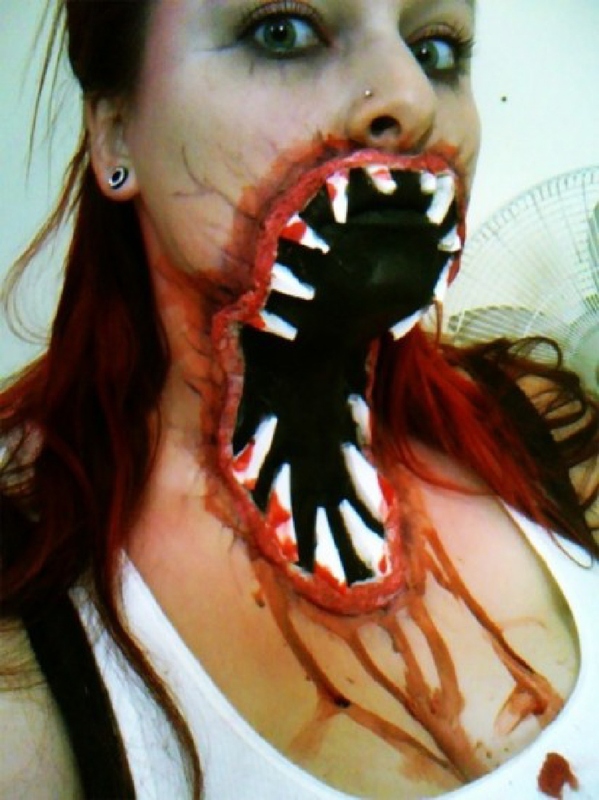 And if you know your way around a makeup kit, you can create a creepy look for yourself that won’t even require a costume to complete. 2.) All eyes on you. 3.) A very sad clown. 14.) Only a little alive. 22.) Face on, face off. Unlike when your sister started drawing in her eyebrows, it’s okay to scream at the sight of someone sporting this makeup. This Man’s Guide Dog Abandons Him, But When You See Why? You’ll Be Floored!